My friend Mike recently asked me to list two key things that have helped SparkFun become successful. I gave him nine. 1. Get past the engineer's curse. Many engineers ask for two weeks to add "just a few more finishing touches." Two weeks later, that same engineer needs "three more weeks and it'll be awesome!" In the end, the product never ships. At SparkFun, we tell the customer exactly what they are getting, even if that means the silkscreen is messed up or the LED might be yellow instead of blue. People are not ok with surprises, but they are quite understanding as long as you warn them. 2. Trust (aka delegation). We cannot do it all, so we have to find good people and ask them to work for us. It's a leap of faith to let someone else ship an order or answer the phone. But we have to do it, and the sooner we ask for help and trust that person, the sooner we will get back to what we really should be working on - the business. 3. No one ever said they fired someone too soon. This may sound cold, but I have hurt SparkFun and myself by not letting people go quickly enough. Even the person getting let go is harmed when you don't let them go, because they aren't in the job that they could really excel at. When you wait, bad things happen. Do not wait. 4. Luck is a thing. The best-laid plans can be augmented or destroyed by Lady Luck. We moved into the remaining space in a building that was occupied by another tenant. We had plenty of space for us, but nowhere to grow past the space we rented. When the other tenant closed its doors, they didn't just move out; they also had to pay the five remaining years of their seven-year lease. When we needed more space, it was available and at a discounted rate. You can't plan for these black swans, just try to ride them. 5. Never stop working on yourself. There is no book that will tell you how to run a successful business. There are no social-media shortcuts. Running a business means a lot of work, challenges, and learning something new every day. Read, talk, listen, and take classes. You will quickly realize there is a noise-to-information ratio of about 20 to 1. I have to listen to four hours of a speaker to get 15 minutes of valuable "A-ha!" moments. I have to read 200 pages of a book to get 10 worth of action. Don't stop looking for more. 6. Learn the word "no." We want to meet, talk to, and help others. However, will the person be mad that I said no, or will they be more mad when I fail to deliver? Saying no is 10 times harder and more important than saying yes to something. 7. Focus on one thing and do it well. Far too many companies assume additional features or services are what the customer really wants. Like user interaction design, simpler is better. Look at craigslist: it's ugly as sin, but it did something so well (classifieds) that it uprooted the newspaper industry. There are infinite opportunities out there. Find one and hammer it. 8. First to market is important and overrated. If you have the benefit of being first to market you will enjoy a quick market share, but you will be locked into the eternal race with the red queen. If you are second or 12th to market (I believe Wikipedia was the 12th attempt at a wiki-based encyclopedia), you have the advantage of being the one that the incumbent never saw coming. Being later to market has made many of the largest companies. Nobody's watching - try something crazy. 9. Listen more than you talk. No one is given a permit to run a company, they just decide to. And there is no better way to show your ineptitude than when you open your mouth. I surround myself with people who are ok saying, "I don't know." Remember this advice is worth what it cost you, and in this case it was darn near zero. Hope you enjoyed reading! That's a great list, and not just for business. I particularly appreciate and try try to abide by number five. That passion for self-improvement was instilled in me by my grandfather, whose picture sits on my desk. He continued taking college courses into his mid-seventies. His forte was language, and by the time he was 70, he spoke thirteen of them. His last classes, after becoming conversational in both Mandarin and Cantonese, were Kanji classes, so he would also be able to read and write both of those languages. Thanks! 13?! The more I travel the more dumb I feel knowing only English. My hat goes off to your grandfather. Thanks for reading and leaving kind words! Makes it worth the time to write and share. It is wonderful to have someone admit that luck, or more accurately, being in the right place at the right - opportunity - was an important element of their success. Often it is many things coming together at the right time that makes for a successful business. Without the Aduino IDE, Sparkun, Adafruit, Make, Evilmadscience, etc. would not be where they are today. Nate founded Sparkfun before Arduino, but I believe his success is deeply intertwined with the Arduino. It is great that Nate is posting this thoughts and experiences, I love reading this stuff. The Founder of Polulu has written some interesting pieces on their website; my personal favorite was his piece on open source, with his dialog with Philip from adafruit. But I digress ... Good work Nate! 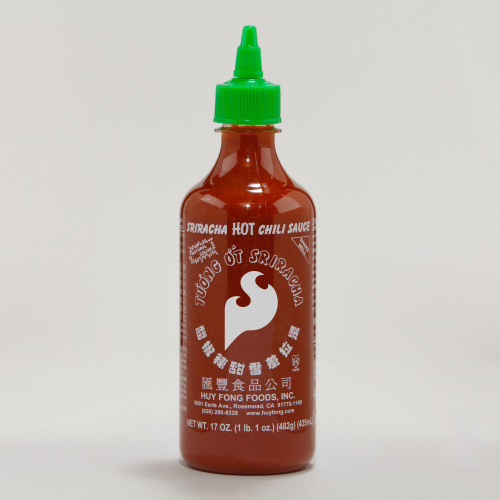 I don't mean to distract from the meaning of the article but i can't stop thinking about the sriracha. If you ever find yourself in San Diego, CA drop by the High Dive Bar and Grill for the Kraken burger: a half pound bacon gorgonzola burger between two toasted sriracha infused peanut butter and jelly sandwiches. All great advice. Thanks for sharing! Nate, man -- these are valuable lessons. Some of them I've learned the hard way, even as a low level manager. Nate thanks again for taking the time to share your knowledge me. This is an amazing list.. Several of these things are things that I have noted to myself in hindsight after helping to start, grow, and then watching a company fail. One thing I'd note is that it is easy to let an abundance of #2 (trust) stop you from following #3, and delaying firing someone. I second the concept that delaying the firing of someone isn't in the long-run doing ANYONE any favors.. I've worked where the boss almost put the company out of business by trying to be the nice guy and not firing people when appropriate, but once he did, even the most bitter of the employees let go are eventually happier for it, and have moved on to better, more appropriate jobs for them. 1 is a personal favorite, since my boss (also an EE) at my first job often told me to "save the project, shoot the engineer." It goes hand-in-hand with Real Programmers Ship. 7 can be misleading though. While keeping focus on one thing is important on a project / organizational / company level, breadth is important in addition to specific expertise on a personal level. Besides, it's always fun watching the lab techs get nervous when a software guy walks in to do SMT rework. Amazing read, well worth the time! I will favorite this and keep it close to me forever. One of my favorite quotes is - "When you speak, you repeat what you already know. When you listen, you learn"
I agree with all of these - FISI belongs at number 1. Number 3 is sad but true, both sides intuit a bad fit pretty quickly on, fear of acting on it to avoid hurt feelings is expensive for everyone. And good communication is super-critical - today I had to tell the product manager to pick two of the three goals that they'd identified for the release, since this is a short sprint. She wasn't happy, but imagine how she'd have felt at the end of the sprint if I weren't finished, or did a crappy job. How many other people, Doh!, I mean how many people. looked for the hot sauce under "New Products" link of left? It's interesting to read your opinion on the engineer's curse. From an engineer's point of view it's very recognizable. During the creation process, there's always the increasing insight that the product would be better with certain changes, which may need discarding a lot of finished work. The perfection-time curve is not linear, if it takes a month to design a working product, it will take two months to make a pretty good product, and a perfect product might take forever. Apart from that, many engineers tend to work on the challenging part, ignoring the obvious details until it needs finishing (and then discovering there are still some non-trivial parts). Although deadlines are no fun, not seeing your creating coming to life is even worse. Good advice! Thank you Nate! Quite a list and quite a company. My hat is off to SparkFun and everyone there! Someday Ill get back Denver way and I want to drive up and visit SparkFun. What a superb read Nate. A heartfelt thanks from me. Reading this felt like a blueprint for how MindKits was built too. I hope you don't mind me adding to your list but I feel 10) Money follows passion. Passion does not follow money. If you take care of the passion and be vulnerable in letting people see what drives you, then they will want to be part of what you're creating and build it with you. A previous job of mine was being the guy who was flown out to a tour to fix problems with lighting. I learnt the value of the word "no". It normally revolved around a couple of hours till doors, trying to fix stuff, and giving options such as, "I can give you A and C or B and C, but I can't give you A, B and C". No is the hardest word of all to say, but when you use it, people tend to give you more respect than saying yes, knowing you can't deliver, but it was what the person asking wanted to hear.